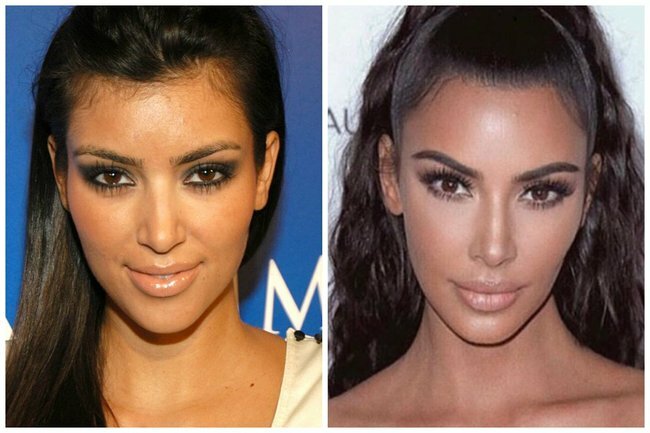 The big problem with plastic surgeons dissecting Kim K's plastic surgery. The big problem with plastic surgeons weighing in on what 'work' celebrities have had done. Deep in my soul, I believe that society would be a far better place if we spoke less about what women look like. At the same time, I’m willing to put a significant amount of money on the fact that Bella Hadid has a fundamentally different face to what she did five years ago. I also believe Kim Kardashian was not born with a waist-to-bum ratio that doesn’t exist outside the Kardashian family, and that the size of Kendall Jenner’s lips have grown to approximately twice their original size. WHY ARE MY BELIEFS SO DEEPLY IN CONFLICT WITH MY VALUES. Kim Kardashian&apos;s plastic surgery timeline. Surgeon&apos;s warning to Jen: Stop having plastic surgery. Botox, fillers and rhinoplasty: Plastic surgeon weighs in on Bella Hadid&apos;s changing face. For some reason, likely rooted in my own deep insecurities, I&apos;m obsessed with the evolving appearances of celebrities. I want a plastic surgeon to say that some of the world&apos;s most familiar faces have had a nose job, or fillers, or botox. Maybe it&apos;s just an attempt to keep a grasp on reality - to know that I&apos;m not crazy in thinking that the faces I&apos;m seeing all over social media are objectively changing. But according to Dr Naomi McCullum, a cosmetic physician and the founder of The Manse Clinic in Paddington, our attempts to know for certain what procedures celebrities have had are a "total waste of time". In a post on Instagram on Tuesday, McCullum shared the standard response she gives when she&apos;s asked to comment on celebrity&apos;s cosmetic transformations. She simply replies: "I would not like to comment on any celebrity’s work unless I have seen them in real life or with accurate and authentic clinical imaging. The photos we see are so apped and shopped, that there is little point in discussing them from a cosmetic medical point of view." McCullum went on to say that often, we&apos;re comparing &apos;before&apos; photos to filtered and photoshopped &apos;after&apos; photos, and making assumptions about cosmetic work. "It might be more realistic to talk about what filters were used, and how and what areas were Facetuned," she wrote. Speaking to Mamamia, McCullum said the filtered images that now flood our social media can be "helpful and unhelpful". "They are useful in a consultation with a cosmetic doctor, as they can help patients show us what areas they want improved, and they can also reveal to the doctor the patient’s level of expectation, which can create a good starting point for discussion about realistic expectations," she said. 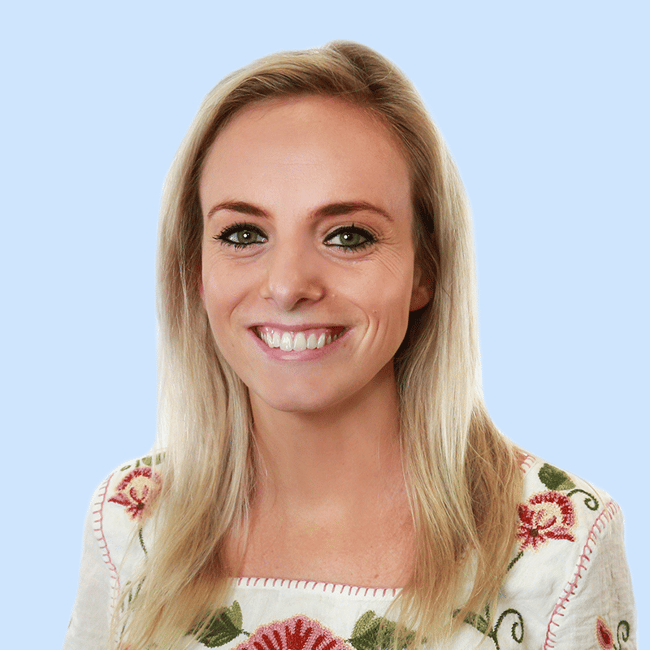 "At the same time they can be annoying because in general, patients can believe that these images are achievable with treatments when they are not. For example, we so rarely see images of realistic under eye areas in the media. They’re always so overly Facetuned. You wouldn’t think tear troughs or fine under eye wrinkles existed in 2019!" It&apos;s an interesting point, particularly given the rise in Instagram accounts like Celeb Face, which regularly posts close up photos of celebrities looking far more &apos;real&apos; than we see on their own social media accounts. Often, Celeb Face features professional photos - available on sites like Getty - and compares them to the edited versions celebrities post. 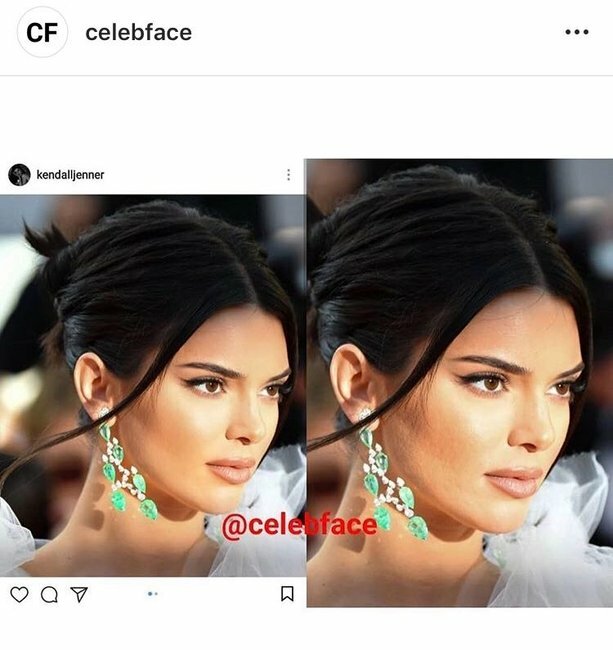 Kendall Jenner&apos;s Instagram vs. Getty. Image via Instagram: @celebface. 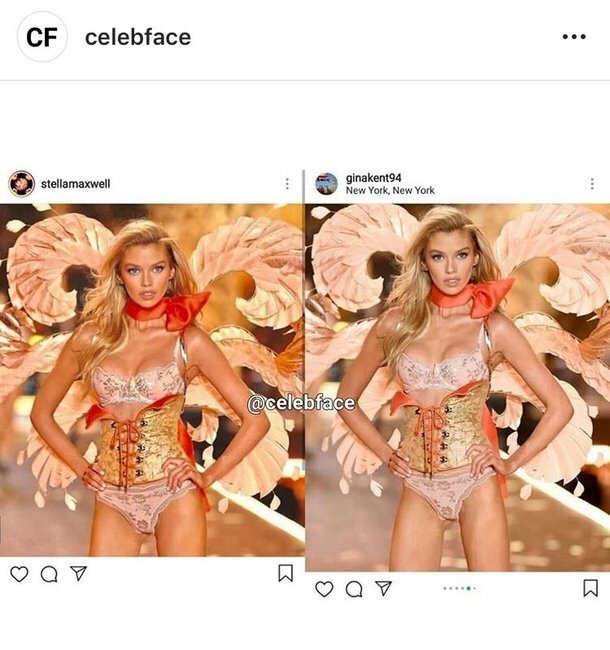 Stella Maxwell&apos;s Instagram vs. the original Getty image. Image via Instagram: @celebface. While conversations about the use of photoshop in mass media started in the 90s, it&apos;s worth remembering that there are apps and editing software available today that do far more than we were ever warned about. When you scroll through Instagram, you&apos;re likely looking at photos that have gone through significant filters - ones that manipulate facial features and change the dimensions of a person&apos;s body. So, yes, the rumours about celebrities and their plastic surgery are probably true in many cases. But in 2019, when people in the public eye have more control of their image than ever before, that&apos;s not the full story.